The V.4 LED High & Low Dual Beam Headlight conversion kit is one of the only kits on the market that allows for PLUG AND PLAY installation on the 2006-2012 Dodge Ram 1500 2500 and 3500 with factory reflector headlights! Watch the video for detailed install instructions. Since 2006 until 2012 the Ram trucks used a big reflector style headlight housing and most people say it could have come with better lighting. 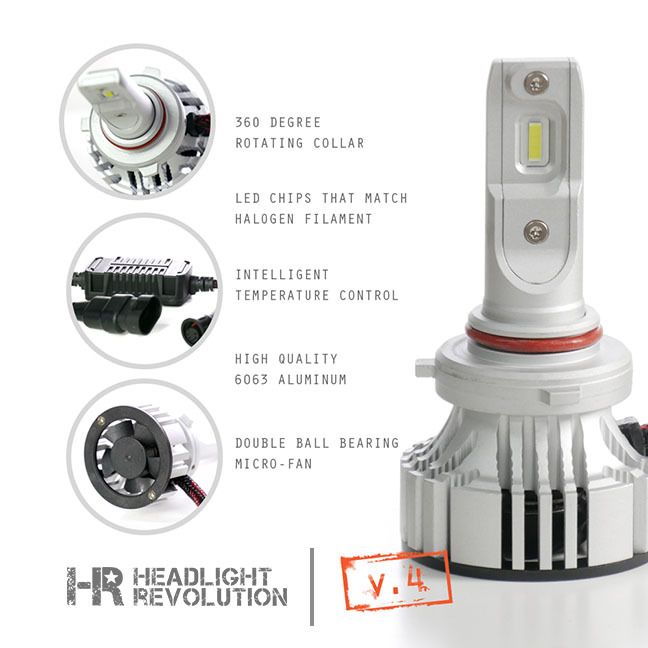 If you want to upgrade to brighter lighting without changing the entire housing out, then this LED bulb upgrade kit is what you need! This conversion kit will allow you to run LED lights in the low beam and high beam without any issues. Many LED kits don't interface well with the Dodge Ram CANBUS system but the V.4 LED bulbs work great when partnered with the Dodge Specific resistor harness as shown in our install video. 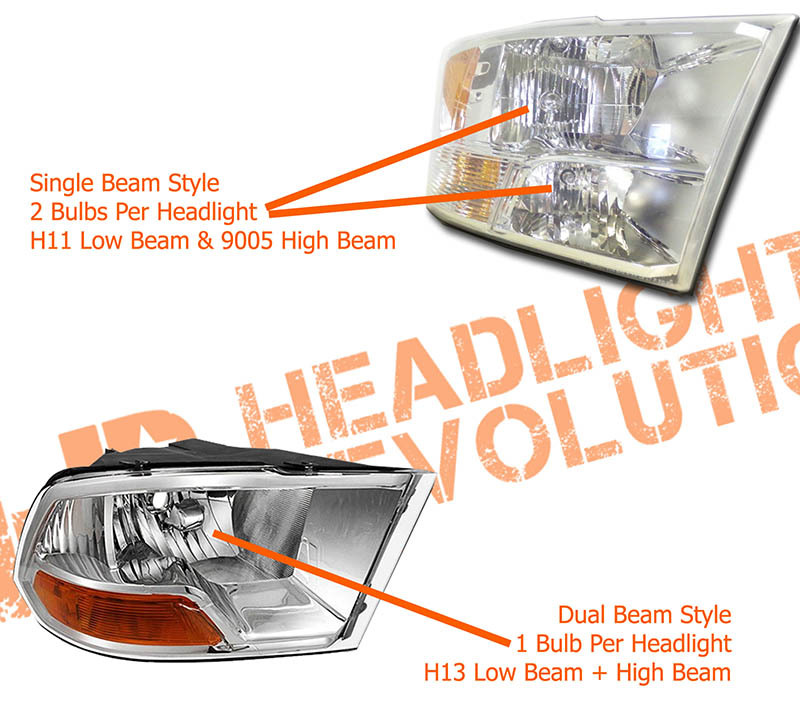 SOLD AS A COMPLETE KIT FOR DUAL BEAM STYLE HEADLIGHTS - Not for use with H11 and 9005 bulbs! The 09-12 Ram comes available with 2 different types of reflector headlights. Single Beam ( each bulb does one single beam, low or high ) and Dual Beam ( each bulb does dual beams, low and high in one ). This listing is for the H13 Dual beam reflector headlights. This kit comes with a vehicle specific CANBUS resistor harness that tricks the Ram computer into thinking the original halogen bulbs are still in place.